There are 2 blue and a red GS650 for us…plus 2 grey GS800s for Tim and Marty….and at the lack of a third one of those, the boss throws in a GS12 for the same price. All done!! All with panniers/ topboxes and tankbags….and full tanks. That paints BiancoBlue in Milano 2 years ago “into the bin”!!! In amongst all the kafuffle, Goodie’s mobile sprouts some good news: Tim’s backpack has been found intact and untouched by the conductor of the train (still on its way to Geneva!!) and can either be picked-up from Lost Property in Geneva (~250km away) tomorrow….or be returned in about 3 days to Aarau. Looks like a long train trip for Tim tomorrow then….in 2-3 days we’ll be somewhere else. HUGE KUDOS to MotoMader…. Kurt, Joerg and the others who were there to help out 6 travel-weary Aussies getting their stuff together, get looked after like family (with nibblies on the counter and ice-cold drinks in an esky….incl. 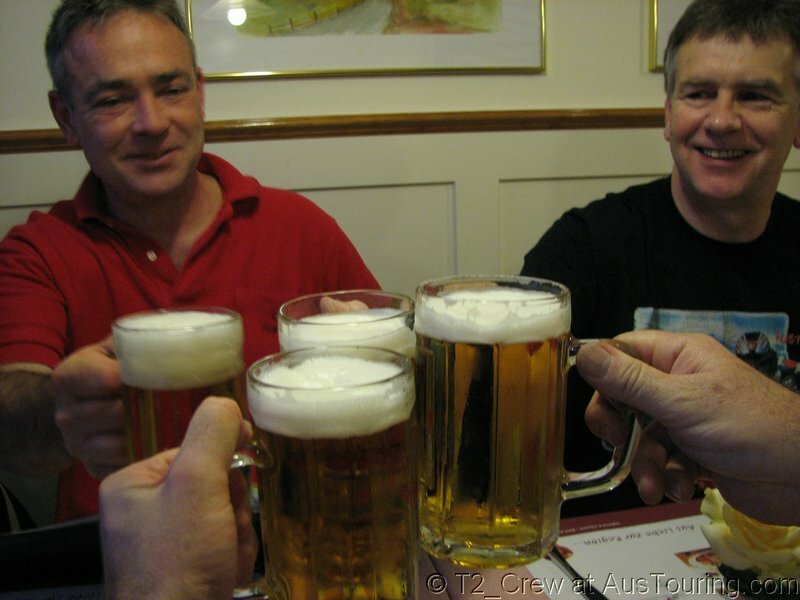 some Feldschloesschen beer for those who wanted it ) . What a super-friendly and professional bunch they are!! In the end they lumped us all back into the van and X5 for the 2km hop along the single-laner backroads to Muhen, a small village on the other side of the Autobahn….and home of the Gasthof Baeren, our stay for the next 2 nights….and the last night upon our return and prior to the flight back to Oz. 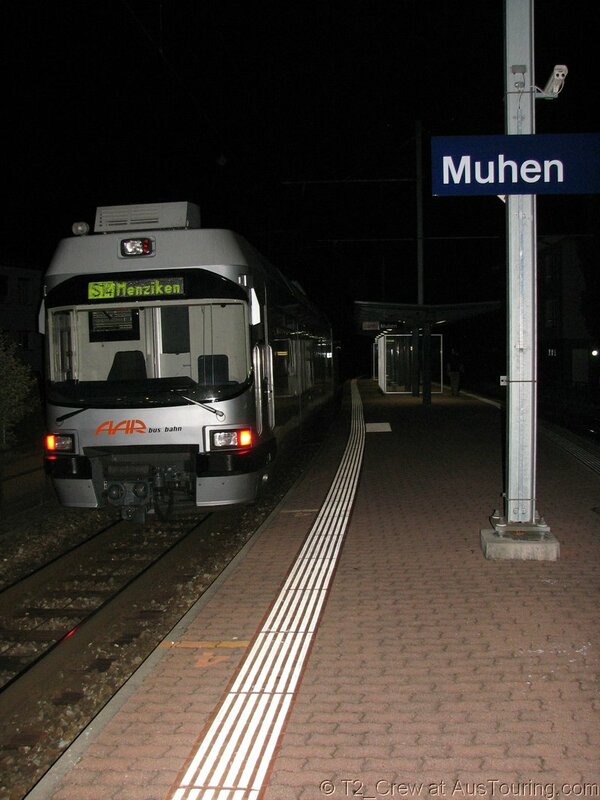 Muhen proves to be one of those typical semi-new-time, semi-traditional villages of the more industrialized northern Swiss “flat”-lands. A big sign outside proclaims : “CLOSED” for holidays….WOT??? I’d just called them again a fortnight ago to confirm everything!!! On further inspection, there’s a small bar at a side-entrance….and we’re expected. 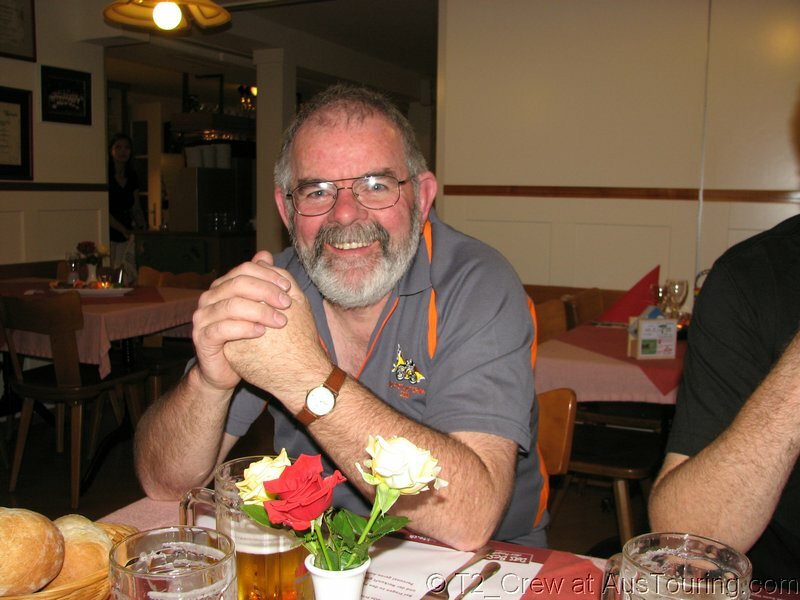 The narrow doorway opens into a big courtyard….the Gasthof out the front used to be a typical farm-building with stables and hay-lofts out back, all wrapped around a courtyard with thick timber benches and tables nowadays….a sort of beer garden. A steep staircase drives the sweat again, but there are 3 renovated rooms with ensuites upstairs….CHRIST, those suitcases weigh a ton!! Especially after that first half-liter stein of local brew has turned the legs to custard…the shade in the beer garden was just too inviting. Around 7ish, the world looks good: Got the keys and rego-papers for the bikes, the bed for the night is fixed, Tim’s backpack is only a 6hr. train ride away, the shower bolted the legs back underneath, time for a short look around and getting some tucker organized…. 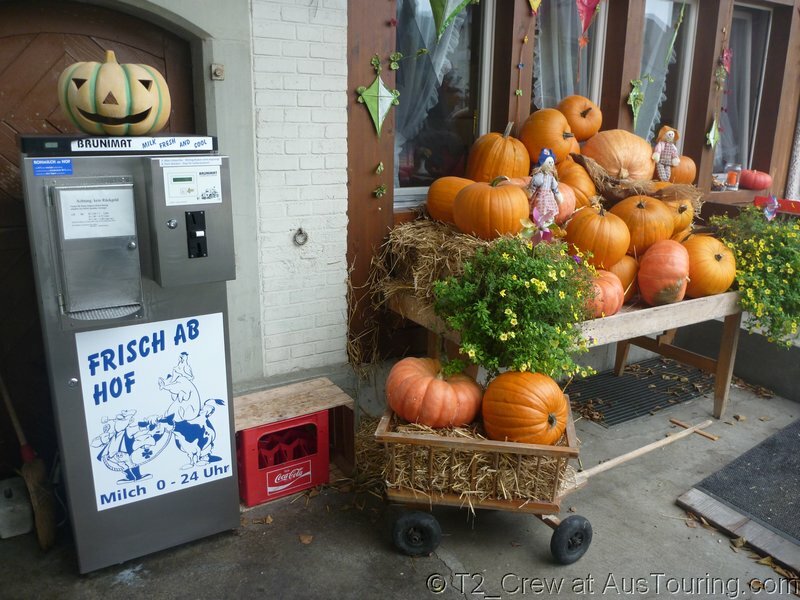 The local Farmer’s shop along the main street….the “Stainless Cow”….selling raw milk out of a fridge-come-vending-machine. Bring your container (or grab one of the cleaned, re-usable Mineral Water bottles next to the machine), stick a Franc (~A$1) into the slot and watch the absolutely sensationally-tasting stuff glug about a litre worth of the cold, white stuff into the bottle. Time for some chewies at the Restaurant Bahnhof ! ….or the decidedly rural smell of the place. “Shitflicker”-time around the Alps…more about that tomorrow, eh? Fark...I'm getting too old for running around in a rainbow-condom with a permanent wedgie all day. And stuff the RC8, too....way too much work on those roads. Look forward to the rest of the story Pete! It'll be like last time....count on about a couple of months before the last page goes up.